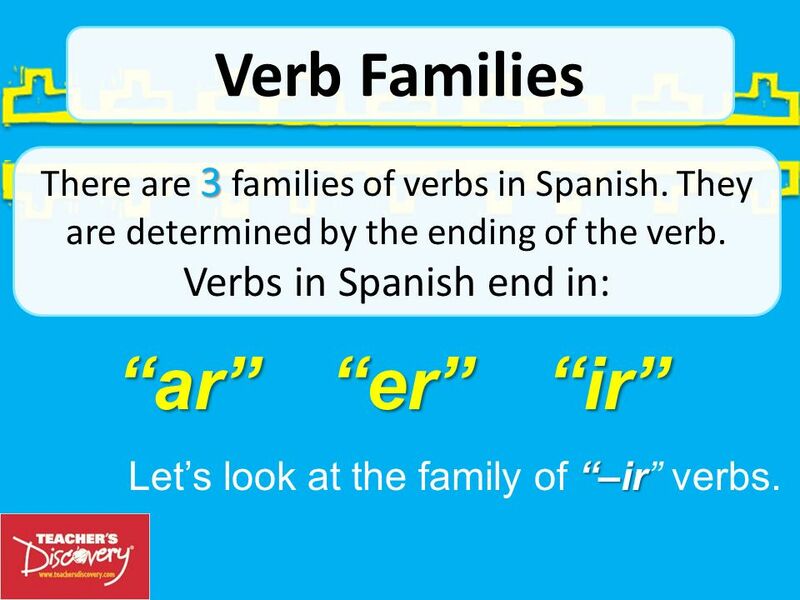 2 “ar” “er” “ir” Verb Families Let’s look at the family of “–ir” verbs. 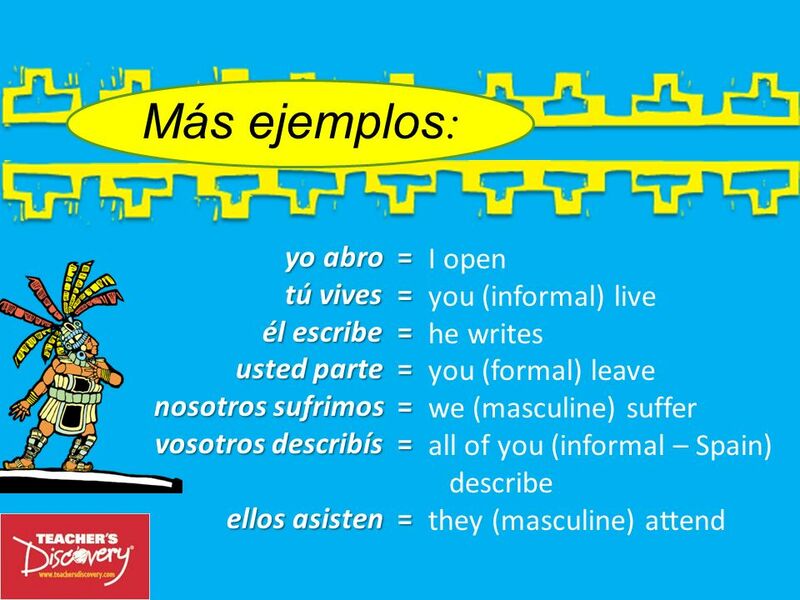 There are 3 families of verbs in Spanish. 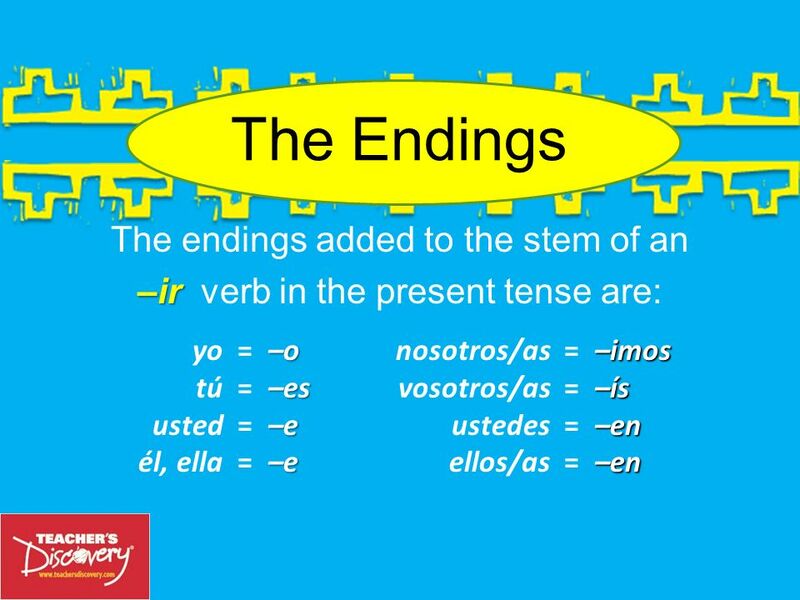 They are determined by the ending of the verb. 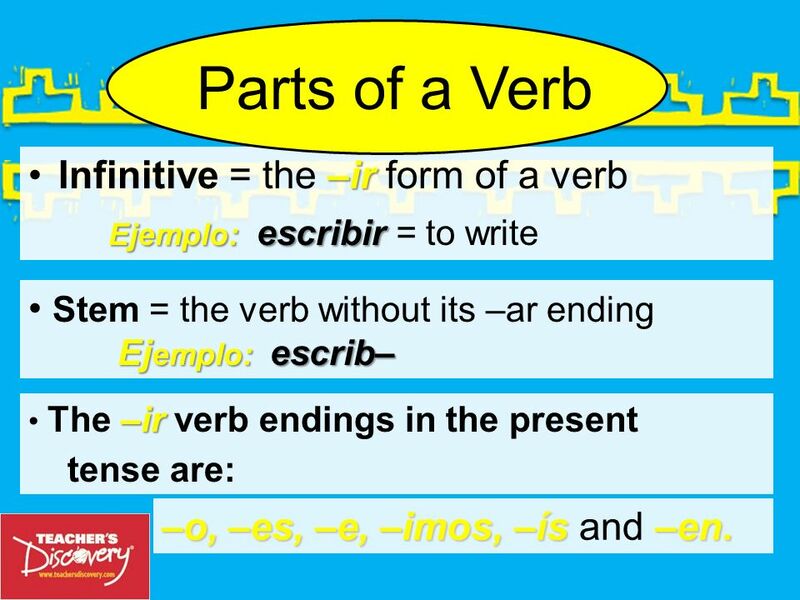 Verbs in Spanish end in: “ar” “er” “ir” Let’s look at the family of “–ir” verbs. 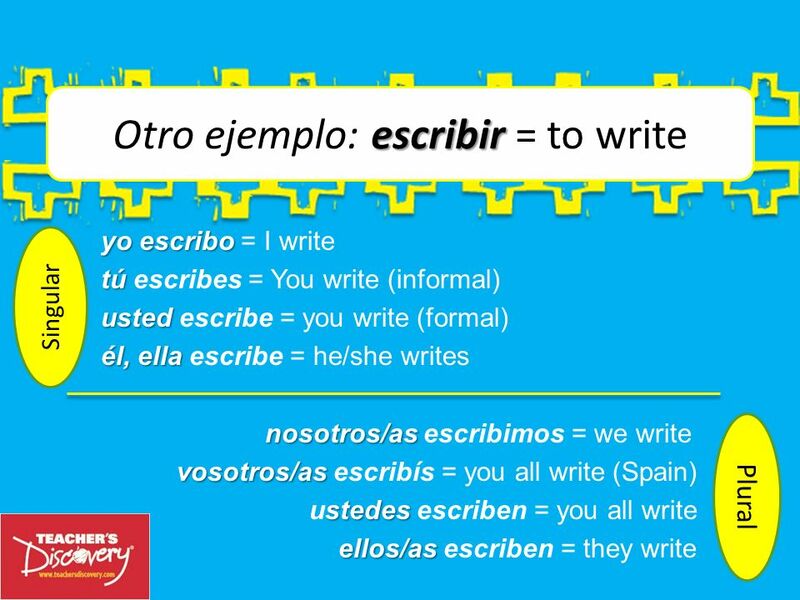 Ejemplo: escribir = to write Stem = the verb without its –ar ending Ejemplo: escrib– The –ir verb endings in the present tense are: –o, –es, –e, –imos, –ís and –en. 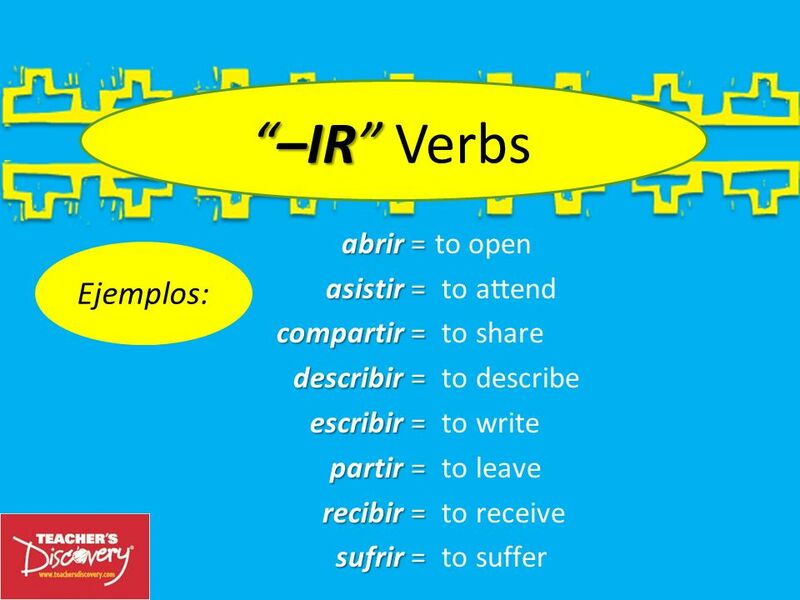 To form present tense “–ir” verbs, you drop the “ir” ending of the infinitive form of the verb and add the appropriate ending for each of the subjects. 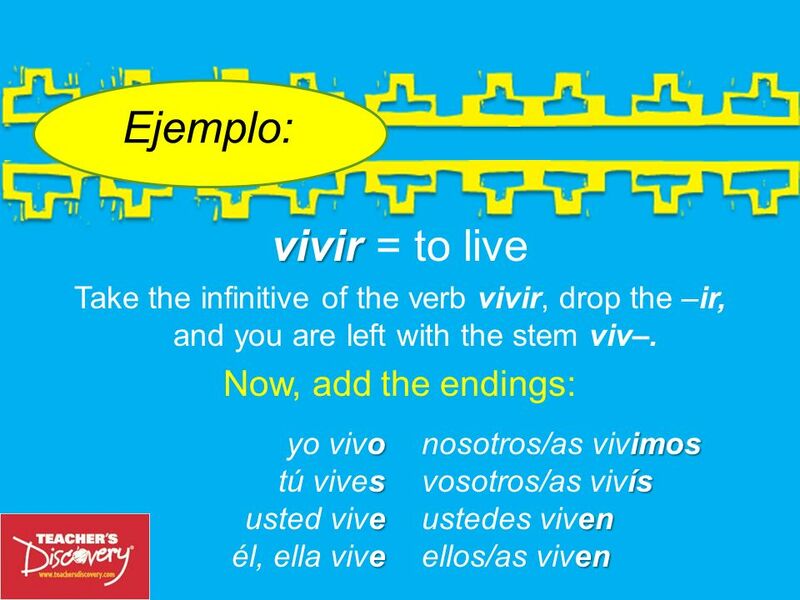 Ejemplo: To make the “yo” form of the verb vivir (to live), take the infinitive, drop the –ir and you have the stem: viv–. 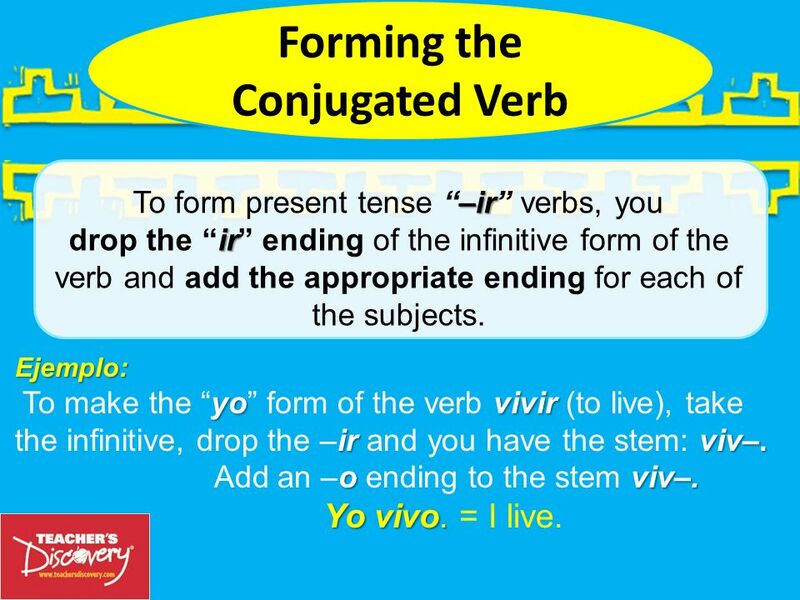 Add an –o ending to the stem viv–. 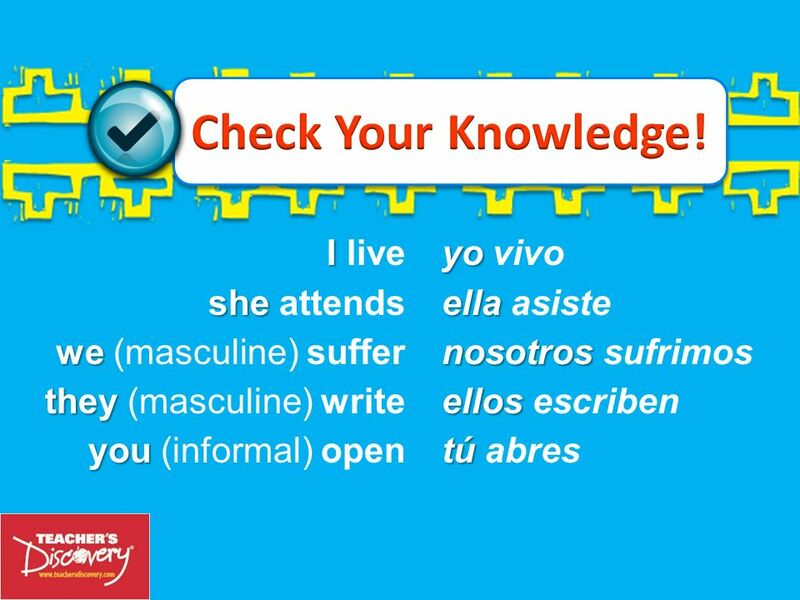 Yo vivo. = I live. 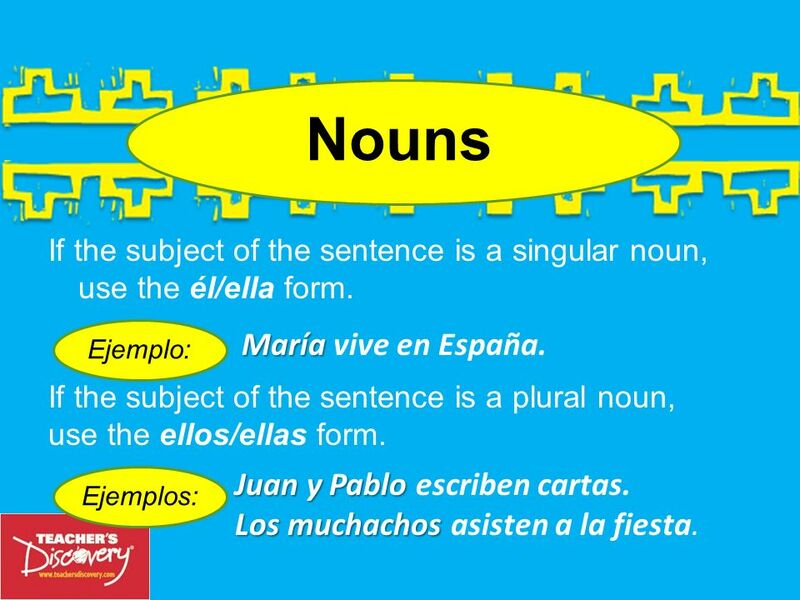 10 Nouns María vive en España. Juan y Pablo escriben cartas. 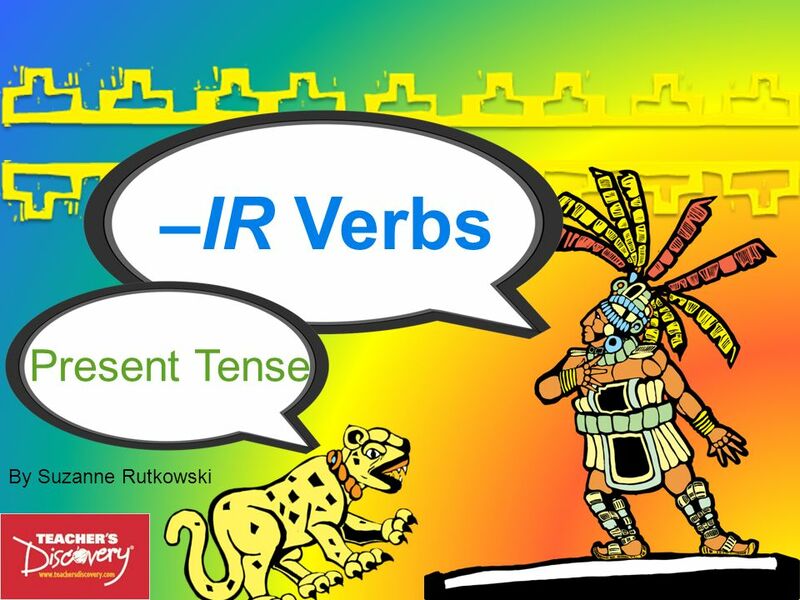 Descargar ppt "–IR Verbs Present Tense By Suzanne Rutkowski."